This oversized menu is extra long and is entirely foil stamped in gold. 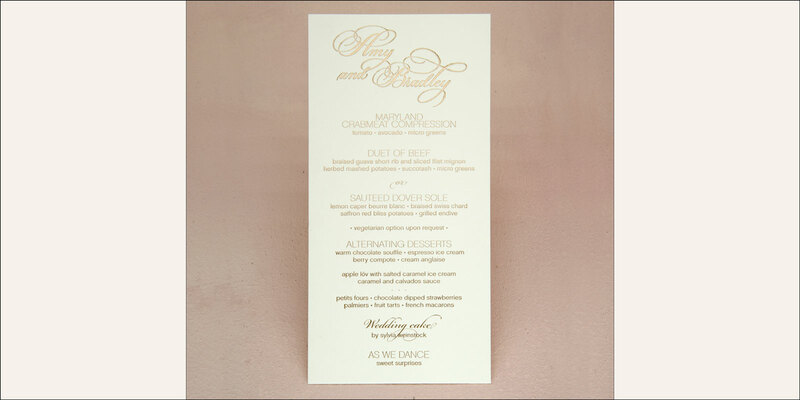 Beautiful in its simplicity, this style of menu is very common and always makes a great impression. 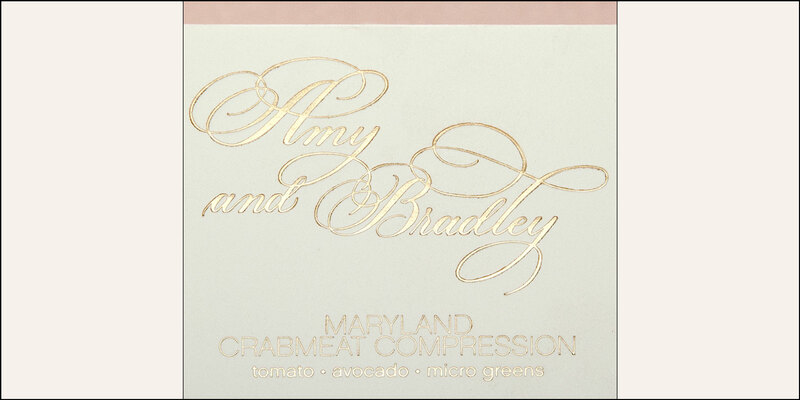 This wedding day accessory may be customized in nearly infinite ways to suit your needs. Colors, sizes, paper options, printing styles, finishing techniques and fonts are just some of the aspects of our wedding day accessories that you have control over. There are no limits to where your imagination can take you.